It just continues as good as it was in august, july and june. 100% record for humpback whale in september making our area here in Eyjafjordur, with the tours from Dalvik close to Akureyri north Iceland one of the best in the world. Since 29th of 345 tours we have seen a humpback whales in 343 that is 99,5% we are still stunned and feeling so lucky being able to show these amazing animals always. 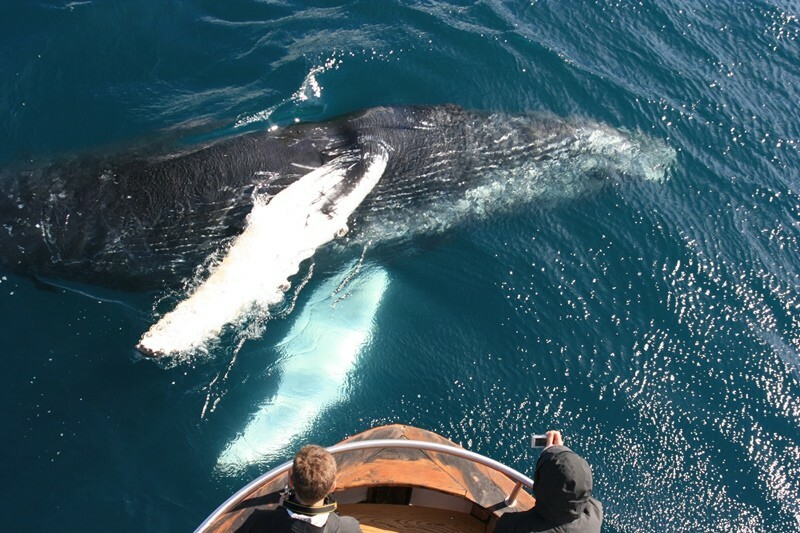 People go to a whale watching tours to see whales and seeing a humpback whale is always a treat and then often best you have experienced in wild nature with wild animals. Two tours in September come to mind when thinking of something like that special tour. Seeing four humpback whales north of Hrisey Island and being happy with what we saw and going home one starting breaching an so he did for 45 minutes we watched this 30 tonnage animal jumping again and again. We even had to delay going home and add one hour more to the tour. We only went home when most of our passengers had finished the batteries in their phones and cameras. This is a show many people would pay fortune to witness but only our lucky guests experienced close hand and live. We have posted pictures and video from this tour so you can see a glimpse of this amazing show. 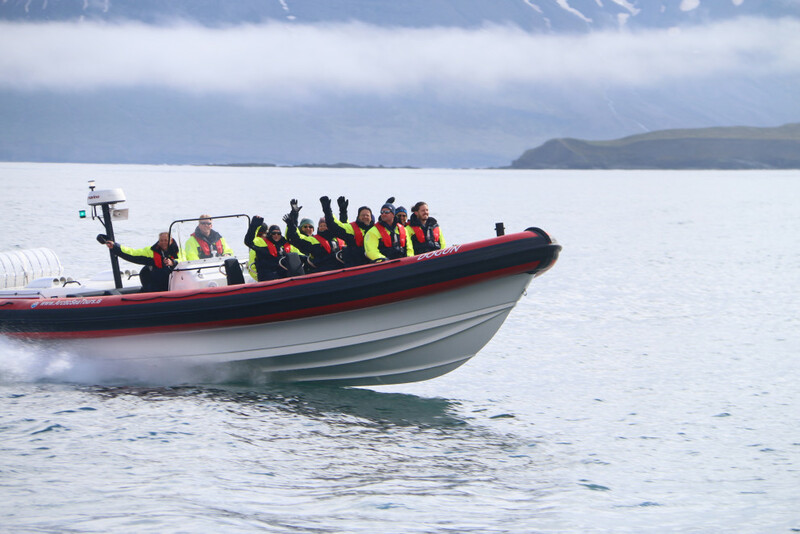 The other tour is similar but breaching close to Dalvik about 100 meters from the harbor. Going out in a windy weather in september we encountered a humpback whale 15 minutes from Dalvik breaching and playing. 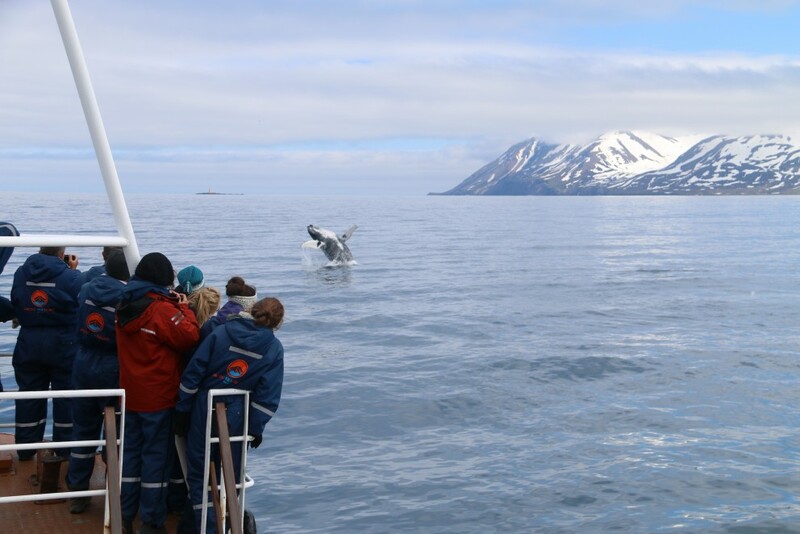 We followed him closer to Dalvik where he kept going and with the might of facebook people in Dalvik was told there was a whale close to the harbor jumping. Many people used their coffee break to witness this amazing show. But we had exclusive view and enjoyed a two hour show of one special humpback whale close to Dalvik north Iceland.